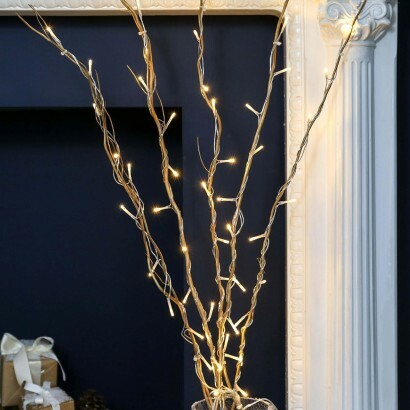 Add a touch of luxury to floral displays and add warmth to your interiors with stylish willow twig lights in sumptuous gold. 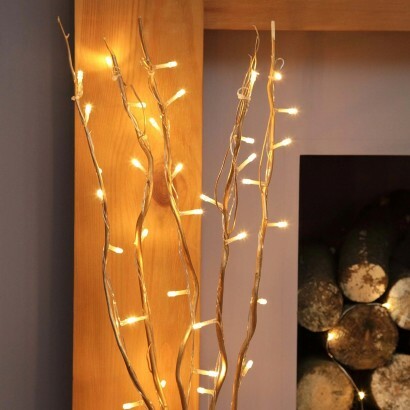 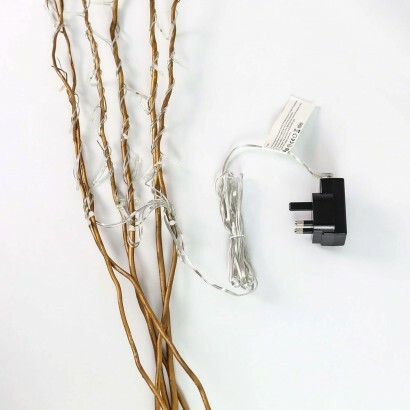 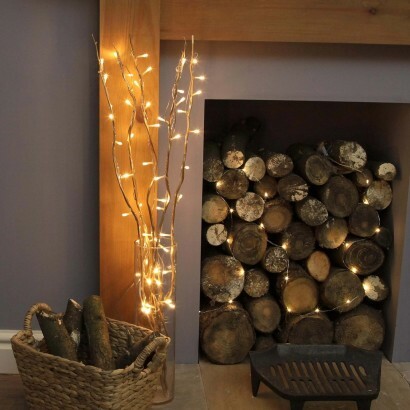 A bunch of five delicate willow twigs are coloured gold to add depth and a touch of glamour to your displays, each lit with ten warm white LEDs for a beautiful, enchanting glow. 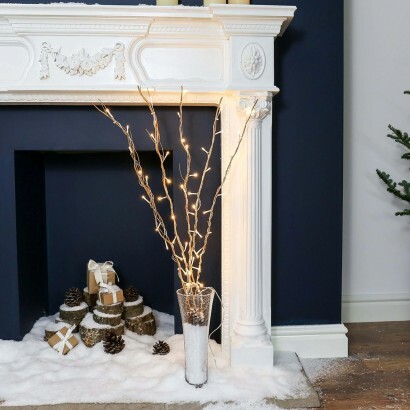 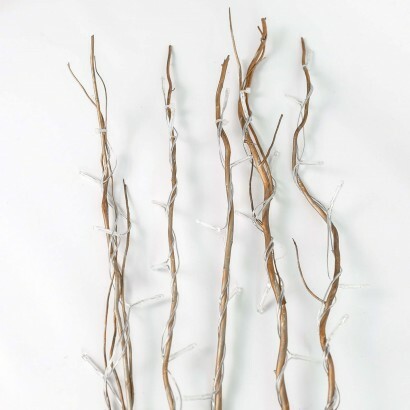 Standing at 87cm tall, these elegant twig lights are tall enough to be used in a large vase as a floor light adding accent lighting to your home, or they can be used as a striking table light or room decoration adding a touch of magic to your space all year round.